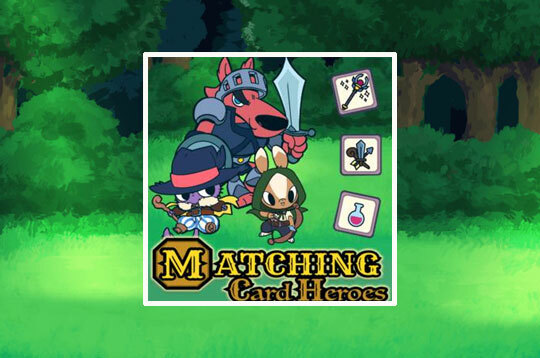 Enter this adventure in Matching Card Heroes! Along with 3 super brave heroes enter this exciting matching card game with RPG elements. Fight the evil creatures that come up from the forest by finding identical cards in the field. Attack with different weapons, heal, defend and improve your stats. Improve your memory and complete all levels! - Play Matching Card Heroes Free and Enjoy!